Home / 4 Stars / Fashion and Beauty Corner / Product Review / Received for Review / #ProductReview: #MedimixAyurvedicFaceWash (with 6 Essential Herbs) ~My Mother’s Advice in One Product! 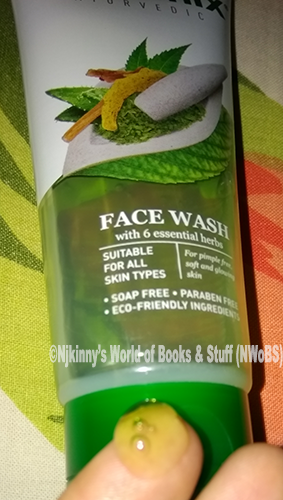 #ProductReview: #MedimixAyurvedicFaceWash (with 6 Essential Herbs) ~My Mother’s Advice in One Product! We all want that perfect skin that is healthy, blemish free, fair and glowing. 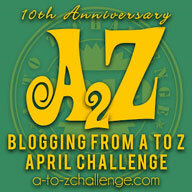 There are different herbs and plant products that our mothers tell us to use. These have been passed down through generations and we all trust that they work. But with our busy lives, adding them into our beauty regime becomes time consuming and difficult as they need to be prepared in a certain way. So what we need is a product that is a one stop destination for great skin. The well known brand Medimix, known for their all natural products, as launched a new face wash that claims to be the one stop solution for pimple free, fairer, beautiful and glowing skin. It boasts of being paraben free, soap free and made of natural, eco-friendly ingredients. Medimix Ayurvedic Face Wash is made up of a unique blend of six essential herbs: Turmeric, Aloe Vera, Neem, Lodhra, Manjishtha, Kushtha. - This unique blend of Turmeric, Aloe Vera & Neem gently cleanses the skin, leaving it free of all impurities. - Manjishtha and Kushtha improves the skin texture. It also retains the natural balance of the skin, keeping it refreshed. I have been using Medimix Ayurvedic Face Wash (with 6 Essential Herbs) for over two weeks and like this gel based, pale green face wash that comes in a transparent tube. It lathers well and only a small quantity is required to clean our face and neck. It washes off easily and I was able to remove my makeup in one go with it. However, for waterproof and heavy layered makeup an additional makeup remover is required. Medimix Ayurvedic Face Wash swatch is a transparent pale green colour. The natural blend of ingredients like Turmeric, Aloe Vera, Neem, Lodhra, Manjishtha, Kushtha, well known for their skin friendly and enriching qualities, make this face wash safe from the harmful effects of the chemicals and artificial ingredients used in other face washes. So everyone, even people with sensitive skin use this face wash safely without any fear. It cures and prevents pimples, as witnessed by my sister who definitely saw an improvement in her pimple problem. Medimix Ayurvedic Face Wash effectively removes excess oil without making the skin dry and is especially useful in this current rainy season with its humidity when all sorts of skin problems strike. 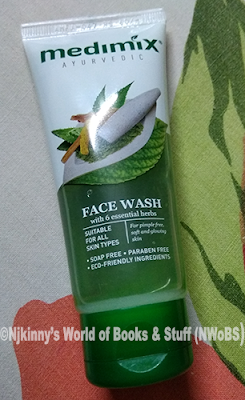 I also loved the fragrance of this face wash which leaves a lingering smell on the skin that is both soothing and refreshing. Available at a pocket friendly price, I didn't find any cons to this new face wash from Medimix and recommend it to everyone. Go green and try Medimix Ayurvedic Face Wash (with 6 Essential Herbs) with its natural ingredients and safeguard your skin! 4 stars out of 5 to Medimix Ayurvedic Face Wash (with 6 Essential Herbs). I am happy that I got to use this product that definitely packs my mother's advice in one product. Medimix also has a Anti-Tan variant enriched with Tanaka called Medimix Ayurvedic Anti Tan Face Wash that is also a very promising product and one that I will try out soon. What do you think about this new face wash from Medimix? Will you try it or have you already used it? Do share your thoughts with me in the comments section below. I love hearing from you.